Survey says this boat is going to need a lot of work. But we already knew that. And you probably did too. No, all joking aside, we did not get a full survey done on the boat since everything besides the hull is going to be replaced….but that one area we still wanted to have looked at. I probably mentioned in one of the first posts when we bought the boat that there were two known holes in the hull under the waterline and since we’ve been to see her in person we’ve found countless more. Or at least more than we’d like to have. And enough to have had us worried that the welding repairs on Daze Off might completely wreck our budget. The going rate seems to be about $85/hr for a decent welder, plus materials, but we weren’t sure how many days or weeks it might take to fix this bad boy up. 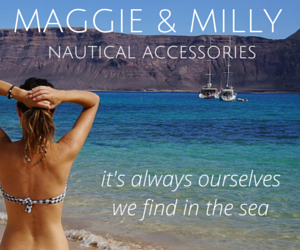 Which is why we called on our good friend Dylan Bailey of DB Yacht Surveying. 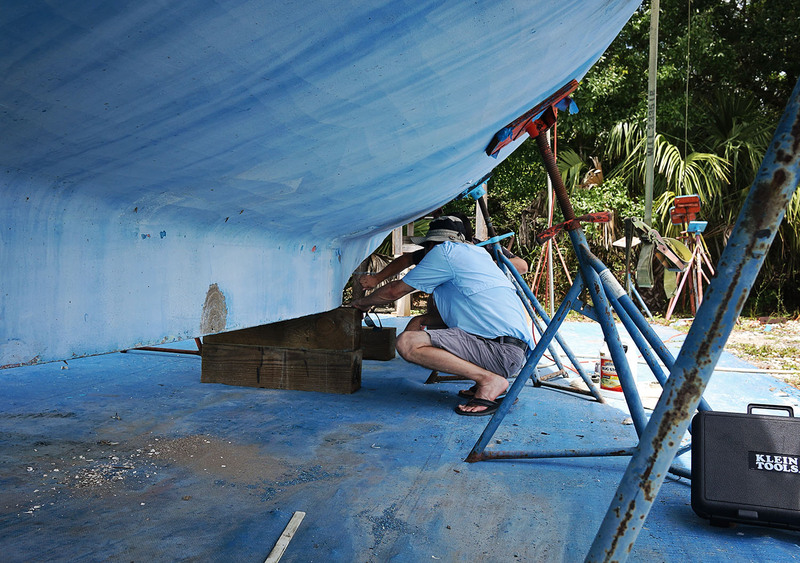 Not only is Dylan a master at metal boats, his father building them for years and owning one himself, but he was also who took care of us in St. Augustine when we had our accident on the ‘Dip. So we already knew we were in good hands with him. Being one of the first people we got in contact with after purchasing this new boat, we knew that we’d want him to take a look at it no matter what. Even though he’s based in St. Augustine he’ll sometimes make work related trips down to the Stuart area and we’ve made sure to catch him now a couple of times. Once was when Daze Off was still in the storage yard and we were indecisive on if we wanted to keep her due to all the possible repairs necessary to the hull. 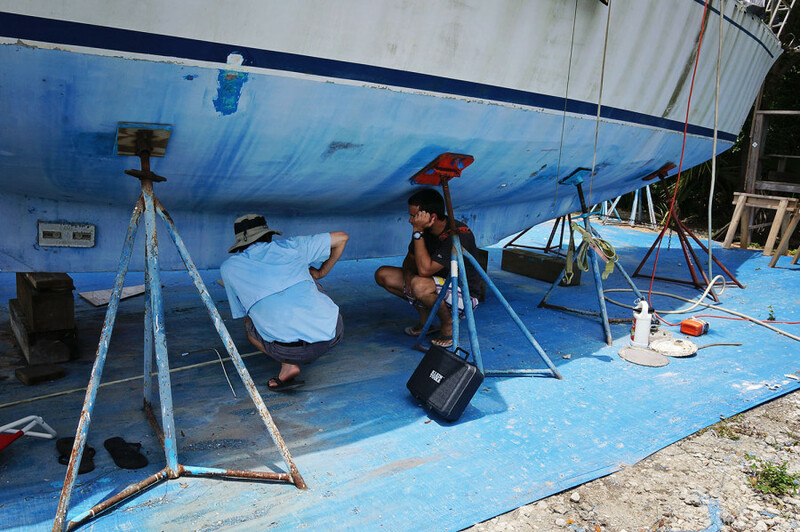 He said she looked like a good and sturdy built boat, but would like to do an ultrasound of her at some point to fully assess the holes and overall thickness of the hull in different spots to see areas of possible corrosion. 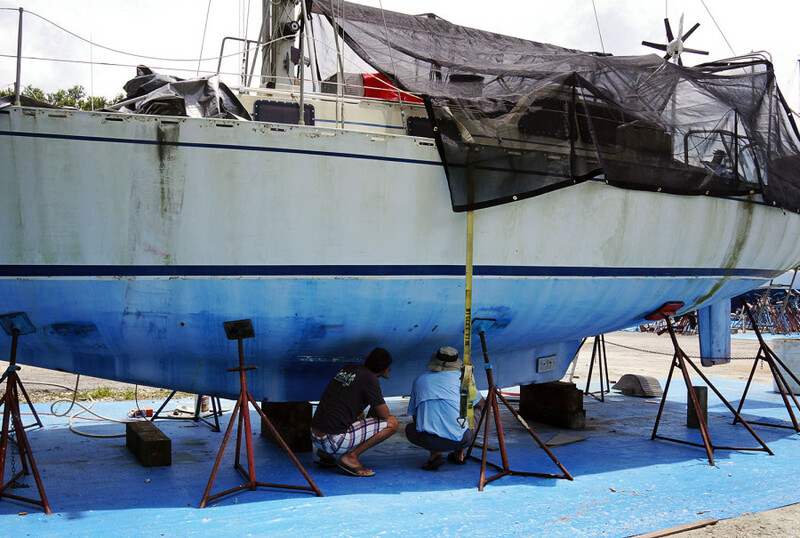 Now that Daze Off is in the work yard and he was nearby, we called on Dylan once more to fully inspect the hull and keel, talk over the issues with the welder, and give us a good idea of what will need to be done to get her floating again. Before we were able to show him the hulls that we knew about upon purchase, but this time we were able to show him the new ones we’d found including a perfectly round drilled hole that I’ll go on about more in another post. Now though, it was nice to have him tell us about the areas we couldn’t see with our plain eyes. 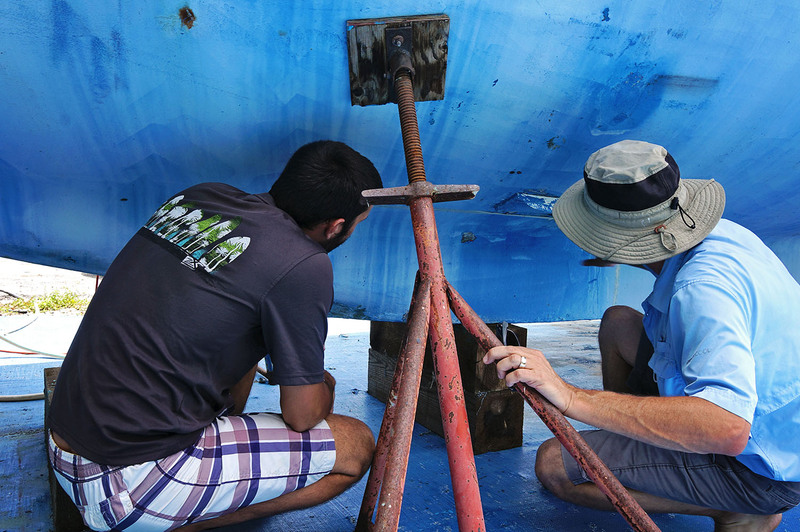 We knew that the keel cavity encountered some damage during a hurricane. Salt water entered the cavity, and along with the lead ballast, created a battery which did lead to a bit of corrosion. Talking to Dylan we found that areas that had lost less than 20% of their thickness should be ok, between 20-25% is cause for concern, and anything over 25% should be filled or replaced. Moving his ultrasound all over our keel we taped out the areas that had too much loss and will need to be replaced by the welder. At the moment the keel looks a bit like a jigsaw puzzle with random bits of tape running all over it, sometimes stretching out lines to connect because in the end a bigger section might be easier to replace than a few smaller ones. All in all we had just over 1,000 points checked with the ultrasound, so at least we are very sound that we know what kind of condition the hull and keel are in. At the end of the survey the overall verdict is she actually is in better shape than we had originally hoped. The sections to be replaced should be easy and not too time consuming which will be great on our wallet. A few replaced panels, a few areas of pitting filled, and this boat can float again. In the meantime while all the welding gets worked out though, time to get down and dirty inside. This entry was posted in Boat work - Trisalu 37, Indiantown and tagged boat survey, Dylan Bailey Yacht Surveys. Bookmark the permalink. Well I am so glad to hear that Daze Off was not as bad as you thought. This will be some dollars saved that’s for sure. I can’t wait to hear what happens next. Thanks for sharing. I’m following along as I search for my own boat and prepare for sailing lessons. Hoping to meet you two at some point! We’re hoping to sail to the very high latitudes of the north and south, including ice fields. We thought an aluminum boat would be much better for this than a fiberglass one.